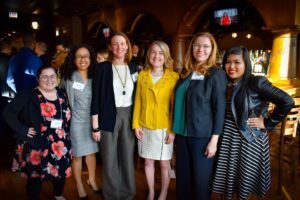 Youth Futures, CCH’s mobile legal aid clinic for homeless youth, celebrated its 15 years at a Justice Circle reception April 9 at Revolution Brewpub in Logan Square. Since its inception in 2004, Youth Futures has served nearly 3,000 youths. 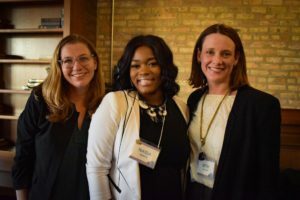 Youth Futures is part of CCH’s Law Project, the only legal aid program in Illinois solely dedicated to serving people and families experiencing or at risk of homelessness. In 2018, nearly three-fourths of cases closed by the Law Project were on behalf of homeless students and youth. VNA Foundation is a generous supporter of the Law Project, providing funding since 2016 to develop and launch StreetLight Chicago. Co-managed with the Young Invincibles, this free mobile app provides up-to-date information on resources for youth experiencing homelessness. 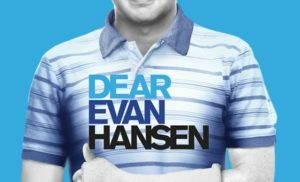 Since its launch, the app has been downloaded more than 2,700 times. Today, VNA Foundation continues to provide critical support of CCH’s health care access and education work. “We’ve never had a better partner than CCH. 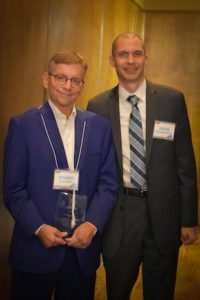 When I think of the grants we’re most proud to give, I think of the StreetLight grant and our partnership,” said VNA Executive Director Robert DiLeonardi. JPMorgan Chase has provided pro-bono support of the Law Project for more than a decade. Volunteer attorneys host annual “Chase Day of Service” events, targeting youth and families experiencing or at risk of homelessness. During last spring’s event, 15 attorneys helped the Law Project close 61 cases for 32 people at two elementary schools and a family shelter on Chicago’s West Side. They assisted families with birth certificate requests, public benefits, and preschool enrollment. “We enjoy doing this work. We do it from our hearts,” said Sharlita Davis, a CCH Board member and Chase attorney who coordinates the outreach projects with CCH. Nasia Smith, a former Youth Futures client, was kicked out of her home when she became pregnant at age 16. Despite coping with homelessness while raising her son, Nasia graduated second in her high school class. In 2014, she became the first CCH college scholarship winner to earn a bachelor’s degree as a single parent. She worked full-time to support her young son while earning a business degree, graduating with honors from the University of Arkansas. Today, Nasia works for a non-profit in Dallas and she and her husband are raising their four sons. “I am so honored to be here tonight. Because of you, I had hope and my dreams came true,” Nasia said, in accepting her achievement award. The Law Project is grateful to the signature sponsors of this year’s Justice Circle event: JPMorgan Chase and Baker McKenzie. Other sponsors include United Airlines; Burke, Warren, MacKay & Serritella, P.C. ; and Funkhouser Vegosen Liebman & Dunn Ltd.
After motion to stall public hearing on the measure appeared to fail, O’Connor permitted repeated votes until it passed. 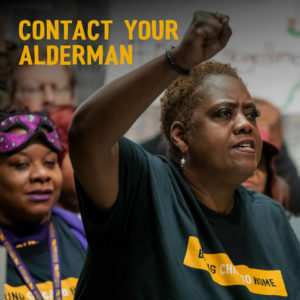 A coalition backing a proposal to alleviate Chicago’s pervasive homelessness problem vehemently disputed Alderman Patrick’s O’Connor’s self-aggrandizing announcement today that he honored his “commitment” to the group, and instead said that he mounted a strenuous – and possibly improper – effort to derail their bid. On Monday, March 11, in what appeared to be an act of parliamentary mischief aimed at stalling the proposal to expand funding for homelessness relief, the City Council’s Finance Committee, which O’Connor chairs, repeatedly strayed from proper procedures – and even misrepresented the results of a key vote – in order to delay a public hearing on the measure, according to representatives of the Bring Chicago Home campaign. In fact, the coalition said he played an instrumental role in thwarting a bid to conduct a public hearing on Monday regarding a resolution that would have authorized a March 2020 ballot referendum on whether the city should raise a one-time tax on the sale of properties worth more than $1 million to fund programs that combat homelessness. Instead, Alderman Brendan Reilly disputed whether the Finance Committee was the proper jurisdiction, arguing that the ballot measure should be considered in the Rules Committee. However, unlike most ballot measures, the Bring Chicago Home proposal would have a legal effect and an impact on the city’s finances and should arguably be considered by the Finance Committee. NOTE: The voter guide has been updated to correct an earlier inaccuracy. 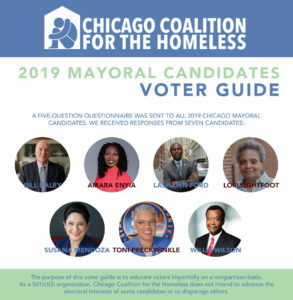 A five-question questionnaire was sent to all 2019 Chicago mayoral candidates. We received responses from seven candidates: Bill Daley, Amara Enyia, LaShawn Ford, Lori Lightfoot, Susana Mendoza, Toni Preckwinkle, and Willie Wilson. The full voter guide can be found here. In honor of the season of giving, we are proud to announce our partnership with Furious Spoon — a Chicago-based Tokyo-style ramen shop. 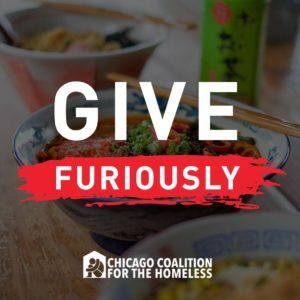 Throughout November and December, the #GiveFuriously initiative offers an opportunity for our supporters and Furious Spoon fans and followers to give back to CCH in numerous ways. At all locations, guests who donate $1 or more to CCH will receive a coupon for a free topping on their next purchase. Now through December 31, those who donate to CCH via Facebook or share the post by using #GiveFuriously will be entered to win a free noodle class. For all noodle class bookings during November and December, 25% of proceeds will go to CCH when guests use the code #GiveFuriously. This Thursday, Nov. 29 – before 2 p.m. –is the deadline to sign up for our 2019 Chicago Marathon team. 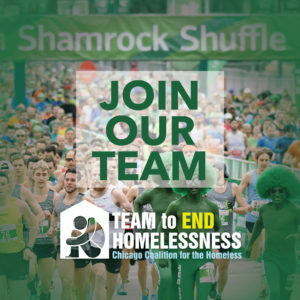 Chicago Coalition for the Homeless is proud to return as an associate charity for the Bank of America Chicago Marathon. 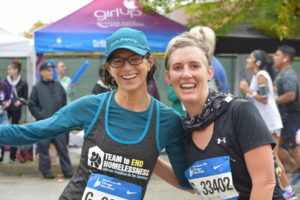 With the race set for October 13, 2019, we have already recruited a dozen runners for our next Team to End Homelessness, offering them guaranteed entries to the race. Runners are required to set a $1,250 minimum fundraising goal, to be raised online in conjunction with their race training. Bucking the odds and the customs of the Chicago City Council, a proposal to dramatically reduce homelessness across Chicago took a step forward Tuesday, despite an opposition bid to bury it. The legislation was assigned Tuesday to the Rules Committee at the behest of its sponsors, settling a contest among Aldermen over which of the council’s oversight bodies would take stewardship of the matter. On Wednesday, October 31, 2018, Chicago Mayor Rahm Emanuel said he opposed a measure introduced in City Council that would raise Chicago’s one-time Real Estate Transfer Tax (RETT) on the sale of properties valued at more than $1 million to fund programs that would dramatically reduce homelessness in Chicago. Under the proposal, Chicago’s electorate would have an opportunity to vote for this plan as a referendum question on the February 2019 ballot for city elections. We’re disappointed that Mayor Emanuel rejected an opportunity to leave a lasting legacy for the good of Chicago by allowing city voters to act on their desire to combat homelessness. Polls show voters already think alleviating homelessness should be a higher priority for the city, and the urgency to act is only going to escalate if city leaders continue to let the problem languish. Chicago’s spending on homelessness remains dead-last on a per-capita basis compared to the 10 cities with the largest homeless populations – and next-to-last on the amount of funding per-homeless-person. That’s a troubling record that must change with the next mayor. 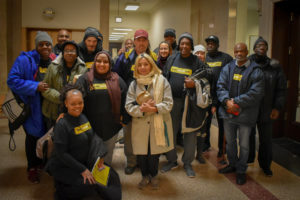 This campaign is only beginning, and with the support of more than 30 aldermen – and with public-opinion polling showing that more than two-thirds of city voters favor our solution to the plight of homelessness in Chicago – we’re determined to build on our strengths.